Harness the marketing power of brandSMART™, a revolutionary new way to open more doors, close more sales, generate leads, boost brand awareness, attract new customers and build loyalty and referrals among existing ones. brandSMART™ is a turn-key, hassle-free marketing system that supercharges your marketing efforts while continuously putting your name, products and services in front of your prospects and customers. At the same time, brandSMART provides them with a unique Family Healthcare Advisory Program called CareOptions® OnLine – COOL™ – a valuable new benefit that families can use as their total health and wellness hub throughout their entire lifetime. brandSMART is a first-of-its-kind, value-based relationship marketing system that will help you capture new prospects, gain customers and retain them. brandSMART works in tandem with your existing marketing initiatives, extending your reach far beyond conventional advertising. It’s innovative yet surprisingly affordable! This effective approach to marketing is critical to any organization wanting to increase revenue from prospects and customers. Value-based relationship marketing must include real value that will genuinely benefit your customers, prospects and their families – and that’s where CareOptions comes in! Once you begin using brandSMART, you essentially become partners with CareOptions. You’ll have your own CareOptions system with every page customized with your company’s identity: your name, your logo, your company information, you name it. So every time someone uses CareOptions, they see you. 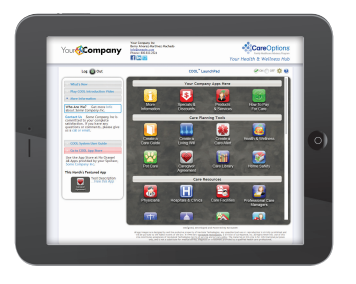 With CareOptions’ extensive hub of information, tools and resources, your customers and prospects could visit your CareOptions system daily! That adds up to major recognition for your company, products and services with virtually no work on your part. brandSMART uses a planned system of deploying automatic monthly emails to your recipients to continue reminding them of your products and services while driving them back to your company-branded CareOptions system. All emails will also be customized with your company’s identity and logo, and will include space for you to include product news, promotions, your photo, a link to your website and social media, a QR code or whatever you wish! You can update your messaging anytime. Each monthly email will highlight a different aspect of CareOptions to continuously pique your target’s interest, encourage more visits to CareOptions, and therefore, increase exposure to you, your services and brand. Along with your target’s regular use of CareOptions, this steady repetition of your name, products and services will keep your company in your recipients’ minds – in a modest, unobtrusive manner – and foster the ongoing relationship between you and them. And when they do have a need for your type of products and services, your name and your company will be the one they remember. Gain new customers through trust! Prospects will be more willing to try your products and services because they already trust you. Spread your name! 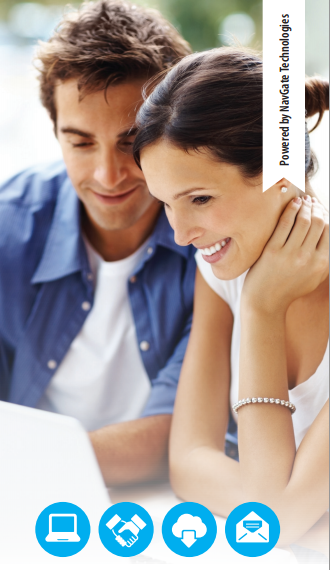 Your CareOptions member prospects and customers are allowed to share their benefit with family members. Building brand awareness and name recognition is one of the most important advantages of brandSMART. Every time your prospects and customers use the CareOptions – and every time the system automatically sends out monthly emails to your target – your name, brand and messages become more memorable. Clearly, connecting with prospects and customers through valuebased relationship marketing gives you a distinct advantage over your competition. For a quick demo of brandSMART, contact us today.